ISLAMABAD: Prime Minister Imran Khan on Wednesday said Pakistan will act as a mediator in the war between the Houthi rebels and Saudi Arabia-led alliance in Yemen. The prime minister said this while addressing the nation in order to take the people into confidence over his recent visit to Saudi Arabia and Pakistan's political and economic situation. The premier said he will try to get the Muslim countries together, besides acting as a "mediator" in resolution of conflicts between the Muslim countries. "We are trying our best to act as a mediator to resolve the Yemen crisis," he said. Imran Khan said the assistance provided by Saudi Arabia has lessened the financial burden on Pakistan, adding that they were thankful to Riyadh for helping them at a difficult time. "We were trying to get loans from our friendly nations so we rely less and less on the IMF," the prime minister said in his address. "We are also in talks with other friendly countries," he added. He said he was hoping to give the nation more good news in the coming days. He said that the government successfully obtained financial package from Saudi Arabia to reduce the immediate burden of paying the instalment of loans accumulated by previous governments. He said the new government faced the immediate burden of paying the instalments of debt. He said had Pakistan gone to the IMF immediately, it would have hurt the nation as fulfilling their hard terms requires passing on burden on the masses since the Fund’s conditionality is harsh when the amount of loan is higher. Castigating the opposition’s major parties -- PML-N and PPP -- Imran Khan said that NRO (National Reconciliation Ordinance) will not be given to anyone as both the parties are employing pressure tactics through maligning his administration, but they couldn’t browbeat him in any manner. Imran Khan was maintaining his belligerent tone and tenor towards his political opponents and warned that he wouldn’t spare any corrupt come what may. The premier reminded that the opposition parties that are accusing his government of incompetence are doing so because they fear their corruption will be unearthed when an audit will be carried out. “They just want an NRO from us,” he said. During the address, which was visibly edited, Imran Khan said: "I want to give them a message: ‘open your ears and hear this: you can come out on the streets. We will give you containers and give you food during your stay on it. You mayalso create rumpus in the Parliament but no one will get an NRO." He said no corrupt will be spared, as he had promised to the nation in his election campaign. "No corrupt man will be let off the hook," Imran Khan said, and warned: "They will all end up in jail." The premier said unless corrupt people are nabbed, the financial future of the country will remain bleak. Imran Khan said the unearthing of accounts with exorbitant sums on the names of ordinary people gives the sense of foul play by some people. He said the cycle of taking loans and then to pass on burden to masses will be broken. He said he audit is being made of the previous loans to ascertain the facts. The prime minister said the government is making efforts to stop illegal outflow of money. He said an investment friendly environment is being created with one-window operations. He said the government has also facilitated mechanism for foreign remittances. The prime minister said those who are criticising the current government are the ones who burdened the country's economy with their ill economic planning and corruption. He said those elements are trying to raise hue and cry as they are afraid of their accountability. Imran Khan said he himself is overseeing the mega project of five million houses. He said 40 countries are directly associated with the housing sector and will provide the youth employment opportunities. He said a special package will be announced in the coming days to help uplift the socio-economic conditions of people of lower income backgrounds. The prime minister asked the nation to be patient in this difficult exercise as the future holds a prosperous and developed Pakistan. He said Pakistan is endowed with immense resources and potential and it will make progress at a rapid pace once corruption is curtailed. He said an investor-enabling Pakistan will be created where people from other countries will come to invest. He said the government’s objective is to create a Pakistan which grants loans to other countries for their development. Imran Khan expressed hope that now his government will not need to take a big loan from IMF. “I hope that the salaried class would not have to face much burden anymore,” he added. Asim Yasin adds: The PPP has demanded the prime minister to tell the nation about the conditions on which Saudi Arabia gave an aid package. “Imran Khan should tell the nation about the conditions which were accepted for getting the aid package from Saudi Arabia,” said the PPP Senator Sherry Rehman in a reaction to the premier’s speech. Sherry Rehman said it was ridiculous that Imran Khan was attacking the opposition to justify getting aid from Saudi Arabia. “It was a speech of a frightened prime minister and he should tell from whom he was frightened,” she said. Sherry said time has come for Imran Khan to jump from container and give a policy statement rather than acting like a man on container. Senator Mustafa Nawaz Khohar, spokesman for the PPP Chairman Bilawal Bhutto Zardari, said the person who was claiming that he will neither beg nor ask for loan from anyone is now roaming around the world with the begging bowl in his hands. “Now Imran Khan is boasting about loan package from Saudi Arabia, but has not told the nation what conditions he has agreed to acquire this loan,” he said. Khokhar said that Imran Khan should come to the Parliament and tell whether he has sold national asset of Reko Diq to get this loan or what else he has promised to the lender. 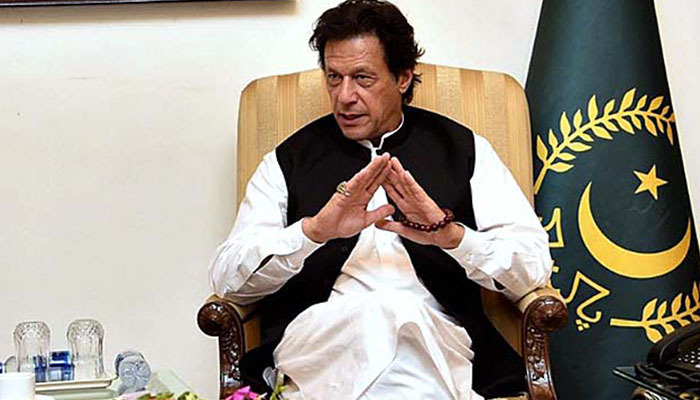 “Imran Khan has also claimed that Pakistan will play a role of mediator in Yemen conflict but has he read the resolution passed on the issue by the Parliament,” he asked.